Samsung Galaxy Gear: Is this what we really want out of a smartwatch? Don't mistake Samsung's effort on the Galaxy Gear for innovation. 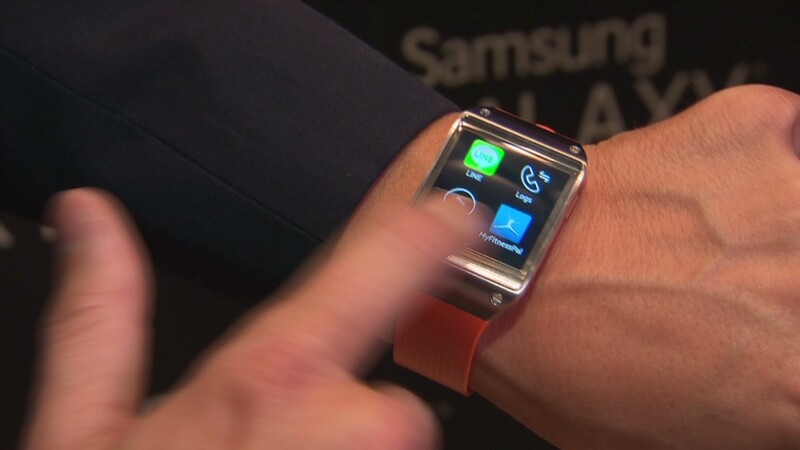 The smartwatch it showed off on Wednesday is far from innovative. It's unimaginative, reductive and maybe even retrograde. Sure, Samsung's Galaxy Gear is the most advanced "smartwatch" to date, but that's because only a small handful of these devices have been commercially available, and none have been spectacular. I spent a short time with the Galaxy Gear on Wednesday, and while no aspect of the hardware performance seemed fundamentally flawed or broken, nothing felt particularly fast, responsive or intuitive. The watch doesn't appear to have any unique function. It's just mimicking the functions of a smartphone to lesser effect. The watch isn't as big and ungainly as you might expect, but it isn't particularly minimal either. And it's pretty ugly, fitting in with the majority of Samsung's other products. A security lock made it tough to get a sense of how the watch fit, but it seemed comfortable enough. Samsung (SSNLF) says that the Galaxy Gear battery will last all day. But after asking whether that meant 24 hours or the span of a work day, a Samsung rep instantly became squeamish. Either way, the Galaxy Gear is yet another another device that users will have to charge as frequently as their smartphone. The most worthwhile feature is the Gear's ability to relay notifications -- emails, text messages, calls, social network alerts, etc. This is the best case to be made for the existence of the typical smartwatch. Beyond that, everything else seems like fluff. Not only was the hardware performance of the S-Voice app hit or miss (partially due to the noise in the venue), but there's only so much you can do with it. Initiate a call, send a text, check weather, yadda yadda. You can't search the Internet, and you have to activate the voice function by hand. You can carry out entire calls through the watch itself, from dialing, to talking, to listening. But the times when this would be an absolute necessity, and not just a novelty, seem few and far between. There are apps, which may have the potential to make up for Samsung's lack of vision. But based on what was shared Wednesday, the early efforts aren't all that promising. There's Runkeeper, which can tap the Galaxy Gear's pedometer and log how many steps you take, but if you want to access the GPS data, you still have to carry your phone. Other early entries seem equally cumbersome. The watch has a camera mounted to the side of the wristband, which is capable of snapping 1.9 megapixel photos and shooting 720p video, but why anyone would want to use this camera instead of pulling out their phone is beyond me. You'd waste just as much time and effort trying to navigate to the camera app on the Galaxy Gear. Here's the kicker: you need a phone to make the Galaxy Gear functional at all. But the only phone it works with right now is the newly-announced Galaxy Note III phablet. Samsung won't make any firm commitment on extending compatibility to other Galaxy phones, but it cryptically implied that something is in the works. Whether or not other non-Samsung Android phones will ever work with the Galaxy Gear is unclear. But it likely won't be any great loss. Just like we don't need the functionality of a PC in our phones, we don't need the functionality of a phone on our wrists. We need something that enhances and compliments the phone. Maybe some extra time with the Galaxy Gear will uncover a redeeming quality for the smartwatch, but at $300, it would have to be the world's most amazing feature to justify the pricetag.